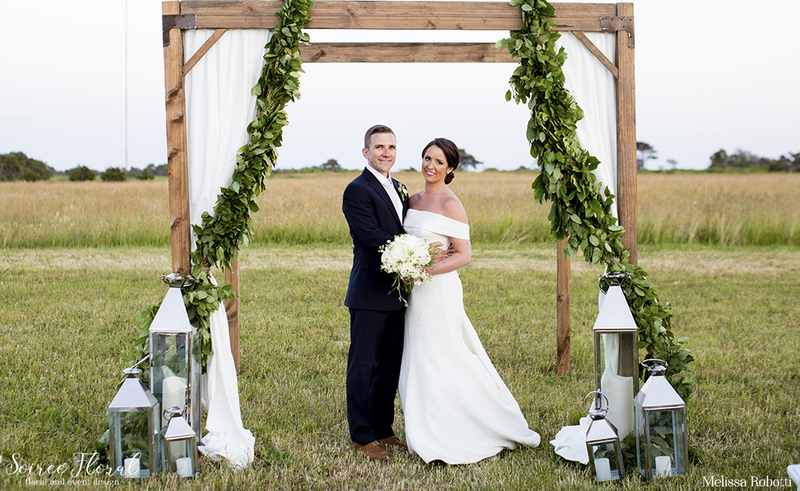 This couple’s stunning outdoor ceremony location, drapes dancing in the wind and garlands of greenery on a rustic trellis on a gorgeous summer day, was a such a breath of fresh air. 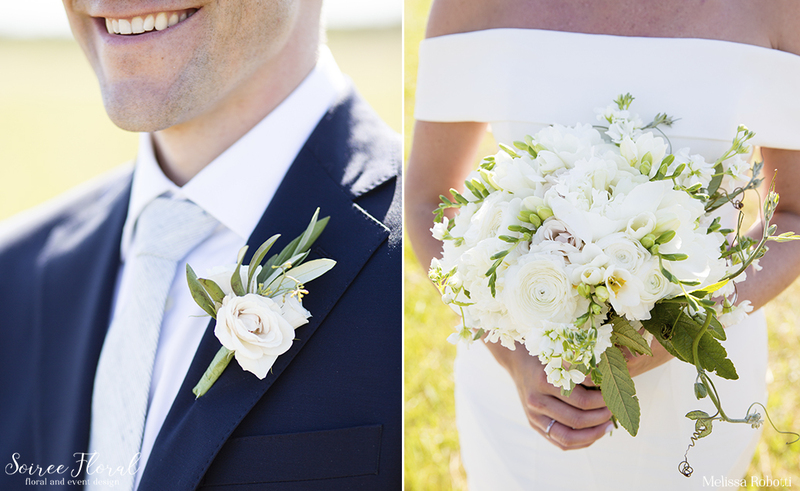 Our bride in her stunning off the shoulder gown, along with her groom wed on the grounds of Bartlett’s Farm, mixing in a little bit of elegance in with the rustic venue. 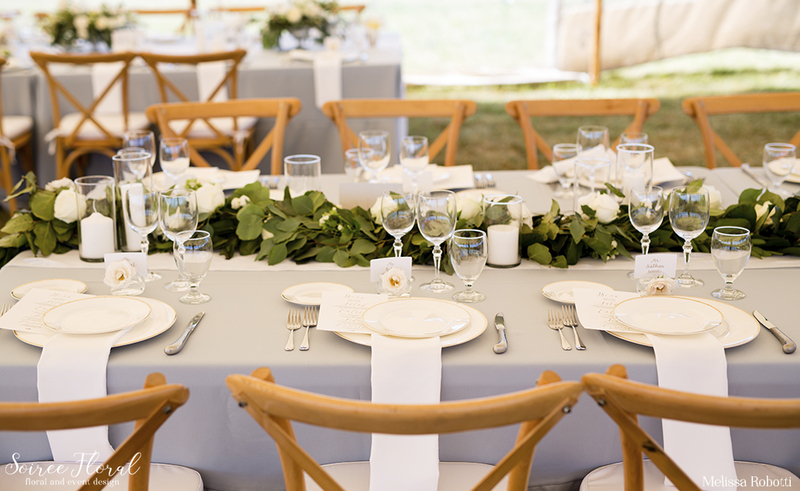 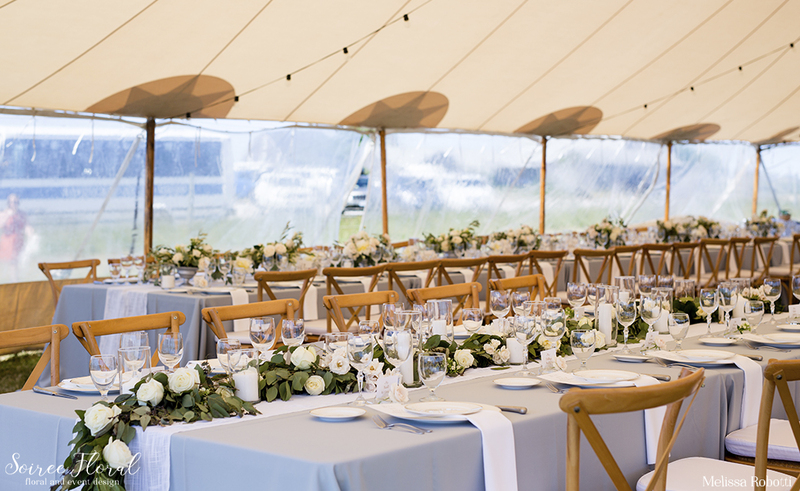 Under the tent, sky grey linens and custom white runners dressed the tables and were paired with rustic cross backed chairs. 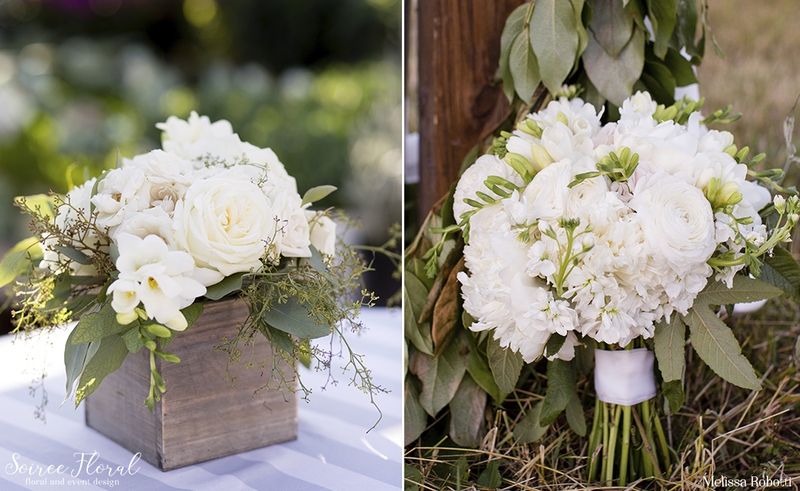 Our floral designs were a mix of loose and organic shapes in compote vases mixed with garlands of greenery dotted with blooms of roses, phlox and spray roses. 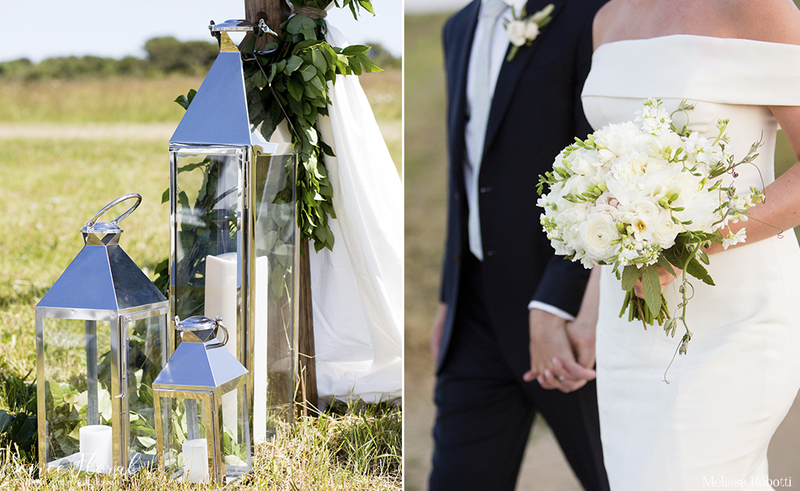 The couple kept it simple under the tent – shades of green and white, with a hint of of gold and silver. 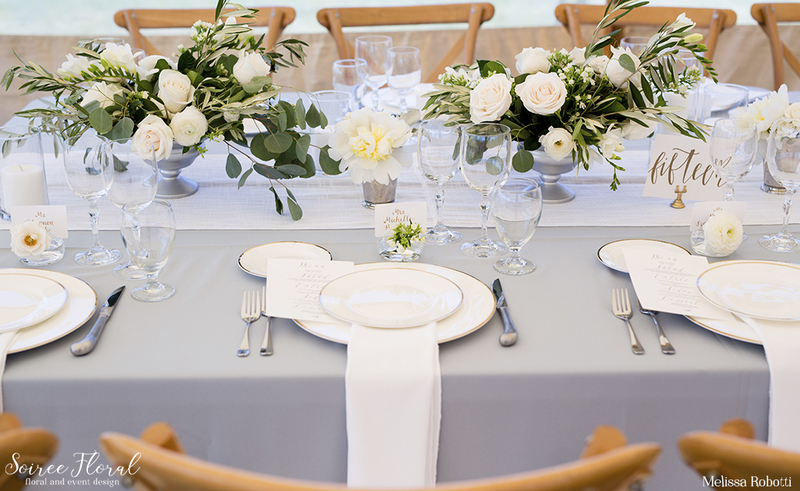 Each guest had a calligraphed menu waiting for them at their assigned seat which they found by looking for their place cards in sleek glass bud vases with a bloom. 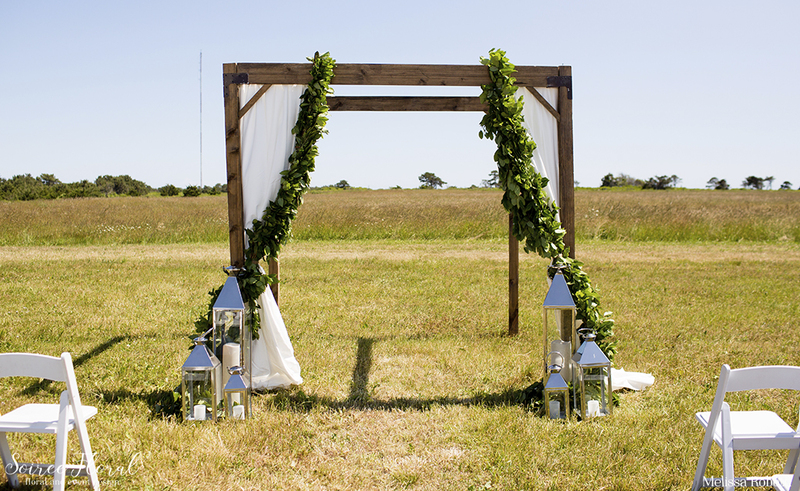 Their sweetheart table featured the same sky grey linens and was adorned with a lush green garland. 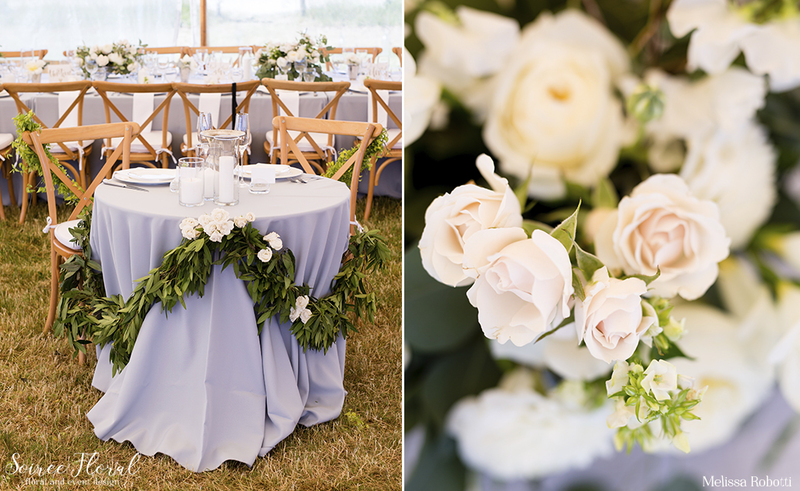 This simple and elegant style paired with the rustic venue was the perfect mix for this couple’s Bartlett’s Farm wedding.